Brad Kofman is a Chicago based Comedian, Actor, and Writer. Want one of the best things you’ve ever tried in Chicago? I don’t mean five star cuisine with 29 courses good, and I don’t mean eighty six dollars for a steak good. I just mean good, real, simple, reasonable, you know...GOOD! 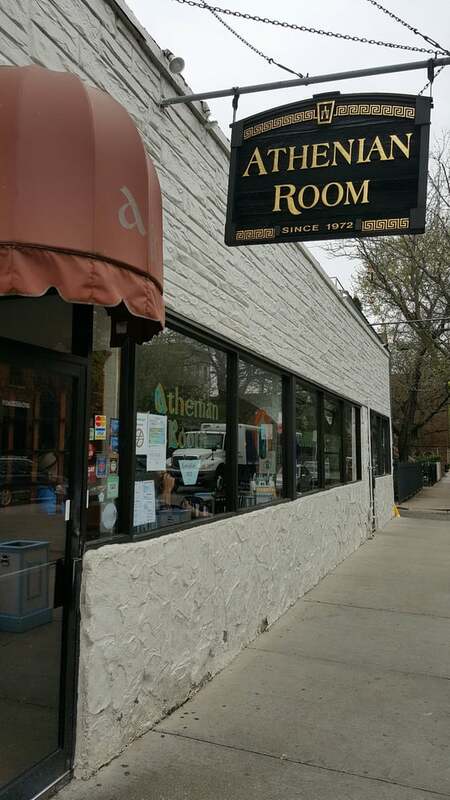 I mean it, turn off of Halsted past Glascotts and see the small, quaint, very Chicago sign that reads, “Athenian Room”. Walk through the glass door, to a stone counter encasing the open kitchen. Gyro spit’s stand at the ready under the watchful eyes of the original owners. They treat it less like a Chicago staple and more like you just walked in off the street of a small town in Greece. All wooden tables and chairs with old school paper menus. This is Greek food you dream about! No flaming cheese, no waiter’s yelling, “Opa”, just well grilled, well baked, well seasoned, simple food. Unbelievably well seasoned, with greek spices, and lots of lemon. Perfectly charred in all the right places. It is cooked on a bed of steak fries, as it bakes all of the juices and fat of the chicken run down filling each fry with life. This is a special menu item, when at Athenian Room order this! That’s all I can say, you owe it to your life. Once you try it, it’s Goodnight Nurse! With all the pazazz of the Athenian Chicken but with BBQ. If you like chicken just do it. It’s smothered in bbq and messy in all the best ways. Gyros are one of our all time favorites. At Athenian Room we get to combine one of our favorite places with one of our favorite meals. They pile em’ high here on a beautiful bed of fries, accompanied by a beautiful pita, with a side of tzatziki and vegetables. These Gyros will have you singing songs from Mama Mia all day. Juicy white meat chicken, say no more. We’re giving this the stamp of approval. If the half chicken up top isn’t your thing, if you prefer chicken breast with no bone, this is your jam. Hey nothing wrong with these, but we’re much bigger fans of the chicken. Hang a left at the pork and get you some Chicken.